2 weeks in a row i went out biking on the single track, and 2 times i just missed the window and hit the trails after the thaw. i wasn't about to rut them up, so i called it quits. i'm going to have to get out before 9:30 a.m. after freezing temperatures if i want to ride from now until march. crap. I think I understand this post, but I’m not 100%. It never freezes where I live, so a lot of this is alien to me. I hope you’re getting some good rides in? Yeah, as soon as it gets above freezing every morning the frost melts and makes the trails a muddy slog. So no riding. I tried the crushed limestone track with the same result. So basically I’m relegated to the Peloton for the next 3 months. Boo. You know the equation that says the number of bikes you need to own is n+1, where n=the number of bikes you already have? Seriously though. My wife was dead set on the s-1 version of that until I showed her that having a road bike and a mountain bike is a useful combination. Except there are three of us so that's six bikes. And then I bought a touring bike. And I'm building a touring bike for my son. And we ended up with an extra touring bike because I wanted a bikepacking bike and found a great deal on a Salsa Fargo. And I'm pretty sure I have another one but I can't picture it in my mind's eye right now. Will make a real post tomorrow, been out all weekend. Last edited by bune on Mon December 31, 2018 5:05 am, edited 1 time in total. You are my hero and my inspiration. What exactly is a touring bike aside from a hybrid? That link doens't actually give you a real-world example of a touring bike, so here's my take on it. Road touring can be done where either you take everything with you and buy some stuff or you carry a wallet with you and buy everything as you need it. If you're going to be taking everything with you you need a bike that can carry that. Most road bikes do not have a place to attach panniers so if you have a fancy carbon dealie you're probably going to do the wallet trip. But if you want to do the other touring you need something a little stronger, and the geometry is a little different as well because it has to hold the weight of you and your bags. Comparing these two bikes (since they're the ones I ride) you can see that the Lemond is more aggressive whereas the Salsa is more relaxed. I feel more upright on the Salsa and it helps when you're in the saddle for hours at a time. 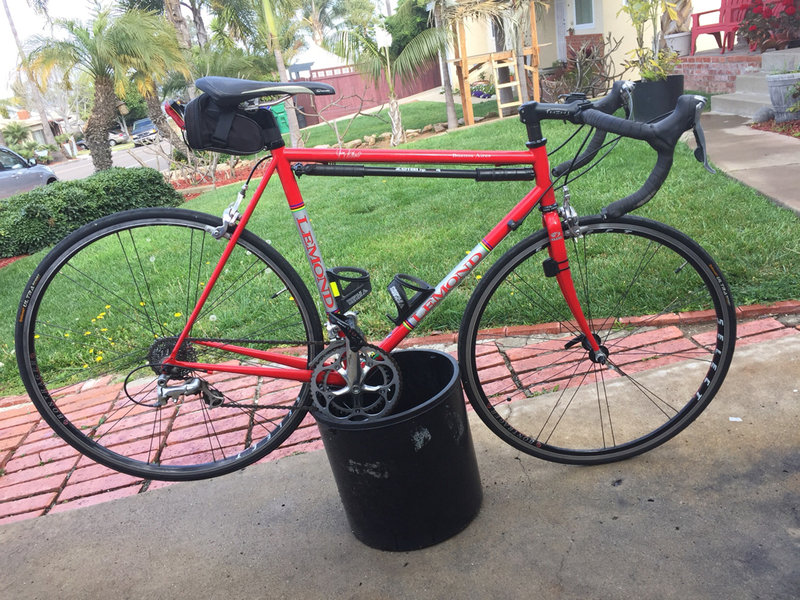 I used the Lemond for a long time to get to work (jerry-rigged the panniers) but when I got the Salsa it just seemed natural to retire it from that and use it for rides only. You mention hybrids. It's hard to get a feeling for that because originally I heard that used to refer to a mountain-ish bike that was used for road riding. I'd say that a gravel bike is more in line with that description right now. This one is when you're off the beaten path. A good example would be the Great Divide (https://tourdivide.org/about_the_route) though that's an extreme of extremes. For this kind of riding you could use a mountain bike (many do) but there are bikes made for this kind of riding specifically. I have been building up a Salsa Fargo for a trip through Oregon next summer. It's even more relaxed and uses some MB geometry for the seat. You'll notice that each one has a more relaxed seat position. The last thing I'll say about touring is that gearing is almost more important than planning your route. If you're touring with a load you'll need some gears low enough to go up a hill. Sure you can walk but I can attest to the fact that walking a loaded bike is pretty difficult. Thanks, that clears up a lot. Jealous of your opportunity to go for touring rides. Hey bune, what’s the deal with Surly bikes? Of course looks aren’t everything, but they do look pretty cool. 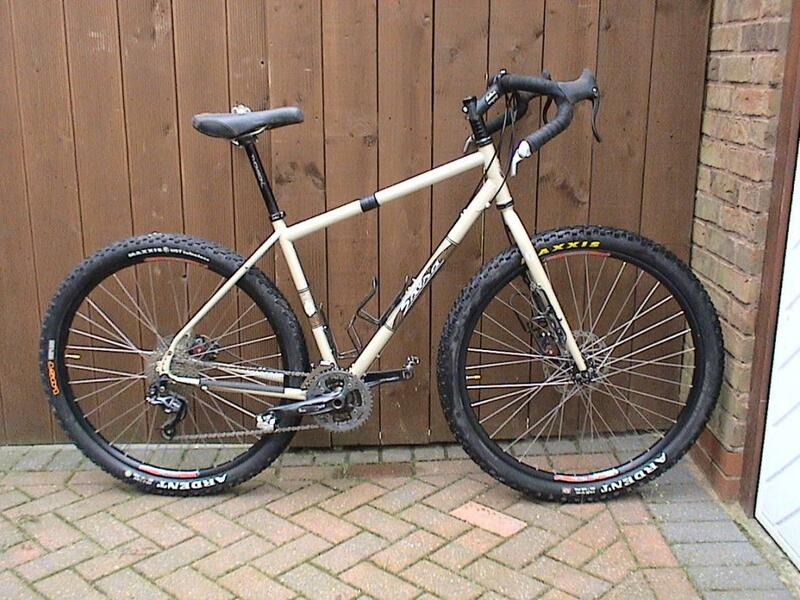 I’m looking for a bicycle like that for some off-road riding. curious, but what do you mean by off-road riding? mountain bike? gravel grinder? I live in a pretty flat area so I’m not looking to do any intense trail riding or anything. I just want the flexibility to ride across different terrains. A lot of spots just off the roads on my routes look like they’d be fun to roll over if I had the right bike. I’m not talking about trespassing or ruining green areas or anything, but there’s just a lot of infrastructure in our parks and bike paths that isn’t fully developed yet. The bayou bike paths will just end in certain areas but in five years they will all be paved trails. That sort of thing. Also, Houston streets in general are like the surface of the moon, so it never hurts to think about riding large tires. I ride a steel frame with 25mm currently, and that still feels vulnerable on these roads. Surly's are tough bikes to be sure. The problem around here is that they are mostly used either by parents to attach an Xtracycle to or by people who want a single speed. When I was looking for a bike to replace the Lemond that's what I was looking at first but the Salsa bike style fit me more. From what you've posted it sounds almost like a Krampus or even the new Bridge Club. The Krampus says it takes a 29 x 3 wheel and the Bridge Club has a 27.5x2.4 on it. On the other hand, both of those are flat bar bikes. For drop bars, there's the Straggler and Cross Check, both with the 700c x 41 wheels. The round part isn't that big of a deal but the width is. You say you're running a 25 and that's pretty narrow for almost anything other than a road or really packed gravel. If you have a Surly dealer in your area you should check some of them out. Biked 25km in the snow, mud and water today. Good stuff. Costco is selling a bike called the Infinity Boss Three hybrid. It’s $200. Sounds perfect for my very occasional biking around the neighborhood and on our local (flat, gravel) trail. Even though you say you just want to ride around occasionally, I think you would be happier to ride something quality that will last longer and feel more comfortable for that price or a little more. Dig around eBay or make friends with some guys at a bike shop. They're always selling rebuilt bikes with sturdy parts, and to be honest, you'll get more use out of a bike with good components and probably fall in love enough to upgrade when you can. Yup, that's true. If you pull any enjoyment out of the short rides you do you'll want a better bike. First thing you want to do is figure out what size bike fits you and any good bike store can help with that. And it'd be easier than trying to figure out what the online size charts say because they're usually just "how tall are you" whereas at the bike store they can take into account arm and torso length. Speaking of biking - https://www.adventurecycling.org/resour ... l-weekend/ - this is coming up and we're thinking of doing it again this year. They have deigned to grace the PNW again with a sponsored ride and it looks pretty fun. I was putting what I thought were the finishing touches to the touring bike I've been working on but it turns out that the brakes aren't compatible with the levers that I had hooked them up to. Live and learn, eh. Anyway I went to the only LBS left in the area and they said to just get this other kind of brake since the frame looked like it could support them so I ordered a pair. They get here and it turns out that while the bike does have holes in the appropriate spots, they aren't the correct kind of holes. So I spent part of my day drilling out the holes to the diameter they need to be, which was really me taking a metal bit that was slightly larger and putting it through the hole and then using a bigger one until it was the correct size. The fork was tough because it was probably 1/4" thick on both sides so that took awhile. The rear one was/is harder because it's inside a triangle so I'm trying to figure out how to make a hole in it. I have a plan but I'm kind of winging it at this point. Luckily it's a steel frame so it's OK for the stresses. That reminds me of the drilling I had to do into our exterior siding for a TV mount above our covered patio. The 3rd or 4th bit finally worked as it turned out because there was this metal plate behind the siding. Fkn annoying. This pissed the hell out of me last week. The PNW ride looks fun. Thinking of doing it with the motel stay. On my work commute, there's a section where the bike lane crosses the entrance to a Four Seasons valet area. I've slapped hoods before. That lane is even divided from the main lanes by turtle bumps. Cars just turn right in from the cross street. Cool. Coolcoolcool. Maybe I'll see you there.